Custom made white thermal baby blanket with grey baby giraffe in bottom right corner and Baby's name can be added to the top center of the blanket. Makes a lovely baby shower gift or after baby's arrival. 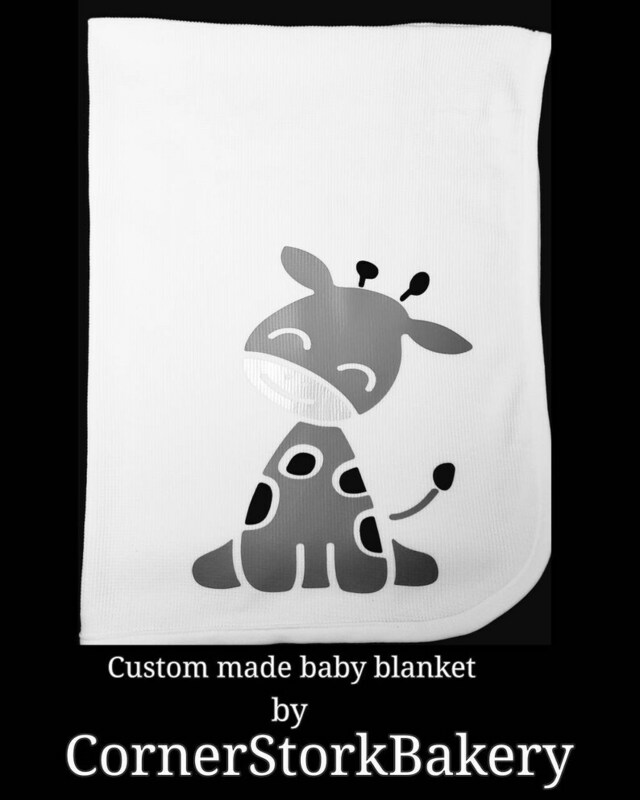 This listing is for 1 white thermal baby blanket (30"x40") with a grey Giraffe and baby's name added in htv. Nicely wrapped up in a cellophane bag with matching ribbon and a handmade gift tag. Can be made in different colors or design per request. Send me a message and we can get your order started.